Everything you need to know about Chinese gold pandas. Many countries now issue a one ounce bullion coin, to be sold at a very low premium over the intrinsic gold value. The Chinese version is the Panda, however in 2016, the weights changed. From 2016 the panda coins have quit the troy ounce system and adopted the metric system instead. The change means the weights have altered slightly; a one troy ounce coin (31.1035g) becomes 30g, half ounce (15.55g) is 15g, quarter ounce (7.77g) is 8g and tenth ounce (3.11g) is 3g. 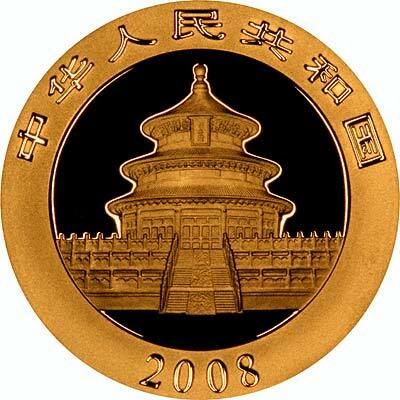 The smallest gold panda coin – the twentieth ounce 5 Yuan coin, is now 1 gram. Because Krugerrands were the first one ounce gold bullion coins to be issued, it is worth comparing gold pandas with Krugers. Krugerrands were first issued in 1967, as one ounce bullion coins. From 1980, they were also produced in fractional sizes of half ounce, quarter ounce, and tenth ounce. Pandas were introduced in 1982. The premium charged on pandas by the Chinese mint is higher than that charged for Krugerrands or most other gold bullion coins. Although this may make them slightly less attractive to investors interested purely in their gold content, it does not appear to have deterred collectors. 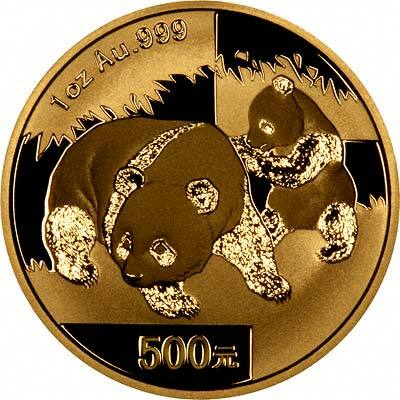 Gold pandas were extremely successful when they were first introduced, we have heard reports of the 1982 coins selling at over $3,000 US or over £2,000; this panda mania continued for several years, peaking about 1987, since then issue quantities have dropped and many dates are not easy to find. Each year the reverse design of the panda is changed, which makes the panda series more interesting to collectors. Pandas are regularly produced in five sizes from one ounce to a twentieth ounce, although in some years much larger sizes have been issued, sometimes in very limited quantities. The obverse design shows the Temple of Heaven in Beijing. The reverse designs of Chinese gold pandas are changed each year as mentioned above. As with most one ounce gold bullion coins, they are made available to world bullion dealers at a relatively low premium over gold content, even though this is higher for pandas than for most other bullion coin issues. The fractional sizes were issued at higher premiums than the one ounce versions. The fractional coins have never been as popular as the full one ounce coins, usually only being purchased as singles, although they are often used in jewellery. In Britain investment gold coins became VAT free. Chard have maintained a dealing service for both collectors and investors in bullion and numismatic coins since 1964. The following table summarises the specifications of all the sizes. We have a price list for gold pandas on our Pandas for Sale page. Please note that gold bullion prices fluctuate constantly.